Initiatives like the Sustainability Accounting Standards Board (SASB) have become more popular as business recognizes the importance of sustainability. But what is the business case for incorporating sustainable practices in business procedures? Do companies see real returns to taking action on the sustainability front? Further, how can consumers recognize when a company has truly incorporated sustainability into their core practices or is simply “greenwashing?” Developing a sustainable future cannot be done without the help of business but these questions will need to be answered before businesses can really engage with sustainability. In their State of Green Business Report 2014 GreenBiz highlighted collaboration among companies and other actors as a key component of advances in business sustainability. These collaborative efforts, they suggested, were most visible in the adoption of sustainability protocols such as certifications and eco-labeling practices. In the last post on certification I provided a brief background on certifications and outlined the convoluted nature of the certifications and eco-labeling landscape – a landscape that is populated by more than 458 eco-labels in 197 countries and 25 industry sectors. But what exactly are the environmental and social implications of this plethora of eco-labels and their related certifications? Does the production of certified products actually lead to tangible social and ecological benefits? In this post I suggest that assessing the benefits and shortfalls of certifications and eco-labeling requires a case-by-case effort to contextualize each certification and eco-label within broader industry practices and sustainability goals, and to assess their on-the-ground environmental and social impacts. While doing so would be impossible in the space of this post, ­­­­­­­there are several issues that emerge in this analysis that hint at the fact that the social and environmental impacts of certification are not as transparent nor are they as simplistic as they are often presented to buyers of certified products. These issues include the problem of ‘green washing’ and the fact that many organizations producing certified goods and services are unaware of the social and environmental effects of the certification protocols that underpin their products. One key issue tied to environmental certifications is the problem of ‘green washing.’ Ed Gillespie defines ‘green washing’ as “advertising or marketing that is misleading to consumers with regards to the ecological impacts of the products they buy.” This is especially relevant to certifications given the role of eco-labels as a marketing tool for companies that produce certified products. While certification regimes aim to produce material, on-the-ground outcomes, they also create a product that is appealing to environmentally conscious consumers that a) want to know that the products they consume are not harming the natural environment, b) want to ensure that the production processes tied to the products they consume have positive environmental and social outcomes, and c) are willing to pay a price premium for their products in order to ensure that these objectives are met. ‘Green washing’ stems from attempts by companies to obtain the additional profit tied to selling a certified product at a price premium without having to invest valuable time and resources in achieving measurable positive environmental and social outcomes. Gillespie suggests, the substance of some sustainability claims is dubious at best, and that ‘green washing’ practices are motivated by the growth of the market for certified products in recent years (the market for certified organic products alone was marked at £2 billion in 2010). Those companies guilty of ‘green washing’ have come to narrowly reframe certification as a means of ensuring increased profits while eschewing the potential to achieve positive environmental and social outcomes. Those who critique eco-labeling as ‘green washing’ argue that such practices do little more than paint otherwise unsustainable practices green, thereby giving them the appearance of having attained sustainable qualities. The problem of ‘green washing,’ however, may be a much larger, industry-wide, problem. In the absence of knowledge or resources to conduct their own research consumers rely on the eco-label as assurance that such products are environmentally and socially sustainable. If consumers come to suspect the value of the label as an indicator of a product’s sustainable qualities, it may begin to undermine the broad consumer confidence in eco-labels that underpins the market value of a certified product. This may, in turn, threaten the long-term capacity of certification programs to achieve positive environmental and social outcomes. A second challenge to the sustainable quality of ecolabels is related to knowledge – not just for the consumer of certified products, but also for producers of those products as well. The Corporate Sustainability Initiative (CSI) at Duke University notes that only 44% of single-standard labels – i.e. 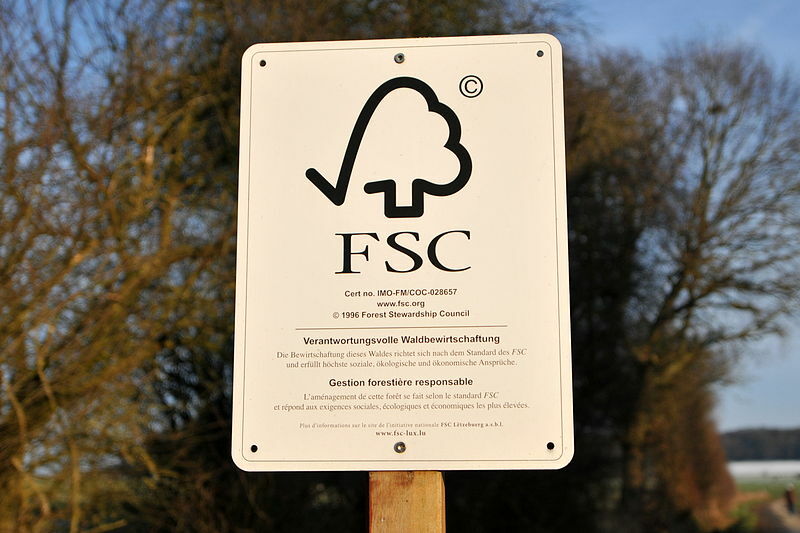 those labels that certify the meeting of a single environmental performance criterion – analyze the sustainability impacts of the certification. A lack of analysis of impacts is a problem because the success of an eco-label rests on the ability of an organization to demonstrate the positive environmental outcomes of the labeling program. Even more worrying is the fact that one-third of the labelers surveyed for their report “made no attempt to monitor or evaluate the environmental and social benefits of their eco-labels programs and have no intention of doing so.” Such deficiencies stand to undermine the value of eco-labels as a means to responding to the environmental and social shortcomings of business as usual. So how are we to account for these deficiencies in the eco-label landscape? ‘Green washing’ provides one potential explanation for why eco-labeling is not accompanied by parallel attempts to determine their environmental and social outcomes. However, despite the problem of ‘green washing,’ a lack of knowledge about the social and environmental impacts of eco-labeling may also be attributed to a lack of know-how on the part of organizations seeking to incorporate aspects of environmental and social responsibility into their operations. Certification regimes that adequately account for the social and environmental effects of an organizations’ activities require an intimate understanding of one’s social and environmental impacts and how to improve upon them. When organizations, no matter how good their intentions, underesource their sustainability departments, it is difficult for them to assess the impacts of their certification programs. In sum, sustainability certifications may be an outcome of new collaborative efforts among businesses. However, the plethora of eco-labels does not, on its own, mean that production processes have attained positive social and environmental qualities. Problems of ‘green washing’ and a lack of transparency about eco-label effects make for a nebulous certification landscape in which the definition of sustainability is unclear and the nature of efforts to achieve ‘sustainability’ through certification are potentially problematic. In the next post I will assess possible methods for responding to these issues. Jonathan completed a PhD in Geography at the University of Kentucky with research on development and carbon markets in southern Mexico. He is currently a Visiting Assistant Professor at Miami University and has past real-world international experience working in the area of sustainable agriculture.